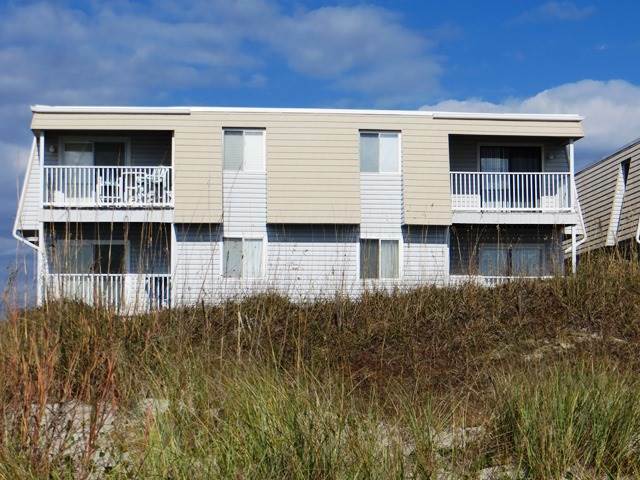 3 Bedrooms, 2 Baths, oceanfront condo conveniently located to the town center's restaurants, shops, ice cream shop, pier, arcade and mini golf. Each of the 3 buildings has 4 units and share an oceanfront pool. Condo amenities include Color Cable TV, Dishwasher, Washer/Dryer, Microwave, Covered Porch, and shared POOL. Sleeps 6 comfortably. Bedding: King, 2 Singles, 2 Singles. Perfect for a family vacation. Week Only Rentals Non-smoking ONE PARKING SPACE PER UNIT.